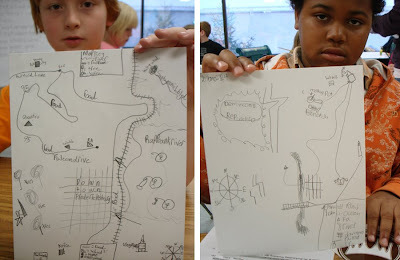 September 26, 2008: Gabriel Pons gave a guest workshop to the 4th and 5th grade students at Fredericksburg Academy about Map-Making. 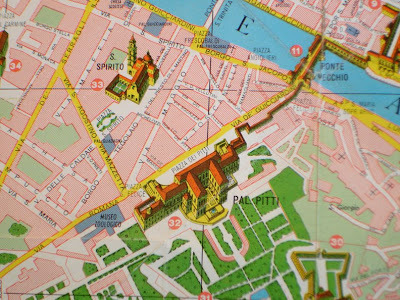 Pons gave a brief slide presentation to students which showed his collection of maps from around the world and how his architectural studies led to his endeavors in painting and collage. 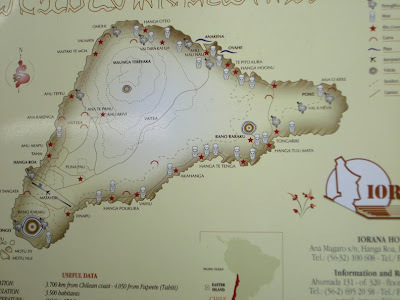 Map of Easter Island (above). 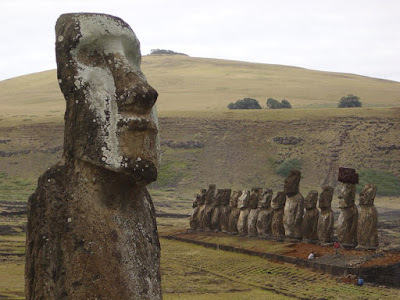 Stone Moai (below). Detail of Florence, Italy (above). 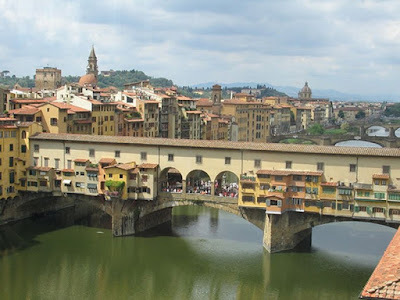 Ponte Vecchio (below). 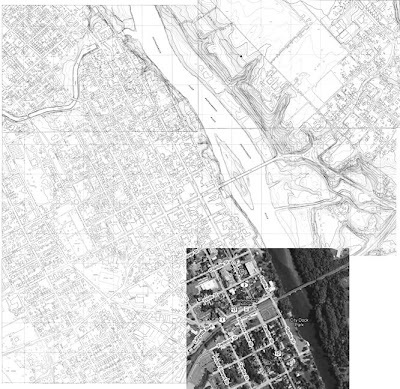 A composite projection of downtown Fredericksburg, Virginia. ...turned into a mixed media painting on canvas. 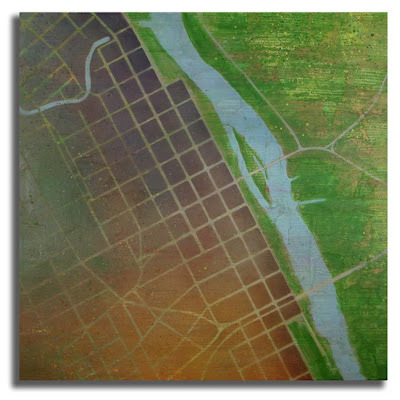 "The River is the Portal" by Gabriel Pons, 30"x30"
Students were then given a drawing exercise to map several items that hold importance to them in their lives: their home, school, the downtown, the river, and other landmarks. Line, shape, and symbol become the coded language for their drawings. At the end of the session, students had a chance to share their maps with one another - "how are they different, how are they similar?" Thanks to Art Instructor Mirinda Reynolds and the faculty of Fredericksburg Academy. This "Visiting Artists" program is now in its second year and, from the students' response, an event to look forward to.